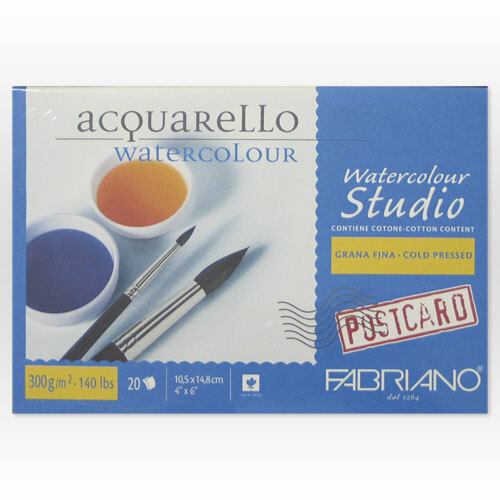 20 Fabriano Watercolour postcard sheets glued on one side into a pad. Printed on reverse with standard postcard layout. Available in 280gsm NOT surfaces. Size of postcard is 4" x 6".